We print your logo onto quality folders. Plain folders are everywhere, but we will imprint your logo onto folders, for a professional look that keeps your business visible. What is a Customised Folder? A folder is an item that we all use, but probably don’t think about very much. It’s a piece of cardboard, somewhat larger than a standard A4 page. It folds around a document, holding the papers together and protecting them from creases, tears and stains. The addition of a printed logo or other artwork gives the simple folder the advantage of being able to stand out and be seen easily. Why Order Personalised Manila Folders? Every organisation uses folders, but not all folders stand out. And there are times when you need your folders to stand out. When you’re giving out written information to customers and clients, don’t let them forget where it came from. A branded folder helps them remember. How Long Does it Take to Deliver Promotional Folders? Our unprinted folders are stocked in Australia and printed locally, meaning that your folders will be with you a lot sooner than if your order from overseas. We advise five working days turnaround from approval to delivery in most areas. Where can I get my Promotional Folders Delivered? Our experienced couriers will deliver your folders directly to your door. We deliver to all street addresses in Australia, though regrettably, we are not able to deliver overseas or to PO boxes and similar delivery services. 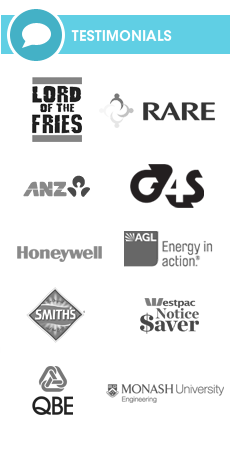 We deliver to all Australian states and territories – NSW, VIC, ACT, QLD, SA, WA, TAS, NT. How should Branding Artwork be sent? To get you the best results, please send your artwork in a vectorised format such as EPS, AI or PDF or use a high-resolution JPEG image. Every organisation uses folders, but not all folders stand out. And there are times when you really need your folders to stand out. When you’re giving out written information to customers and clients, don’t let them forget where it came from. A branded folder helps them remember. When Will Printed Folders be Useful? 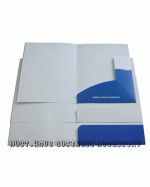 How does Promotional Items Print Custom Folders? We use the very latest digital printing technology to make your logo stand out. We provide a range of options from simple, low cost single colour prints, through gorgeous full-colour printing to eye-catching effects such as UV spot printing. This UV technique is particularly interesting, making specific details ‘pop’ under fluorescent lighting. What are Printed Folders made of? Printing can be on plain or glossy cardstock. Both shiny and matt presentation folders have their uses, so pick the one that best appeals to your customers and suits your logo.